The food was lovely, Daniela cook very well. We had three meals. They were a lot of kind of cereals and we’ve got an orange juice. For lunch we’ve got two sandwiches or pasta carbonara. The sandwiches was good but i prefer pasta carbonara she makes it very well. For diner we’ve got some different meal everyday like pizza which i did it with her, we’ve got curry, chicken, risotto… . And some times for desert we can have ice-cream. We were never hungry because we can have as much as we want. The excursion was very good. Our first little excursion it was when we visit the village with Andrew ( the son of Daniela). The second we went to two museum which was cold Fitzwilliam museum and the second polar museum. In cold Fitzwilliam my favorite things were mummies and in the polar museum it was the model of boat. After visit museum we went to shopping it was very fun and at the end we went visit a lot of colleges and climb up an tower with the tight spiral staircase. But my favorite excursion was London because we went to London dungeon it was very fun and scary. After we went to Buckingham palace but they were a lot of people so we went to Westminster and we had a tour of boat in the river. Later we went on tower bridge, we climbed up and up there the were floor that was made with window. the view was beautiful, we took a lot of picture and we went at the front of the bridge because it was going to get up and open to have more place so the boat can pass. A few minutes later we went to Piccadilly Circus and we went in to Hamley it is a very big shop just for toys. I want to say thank you to Daniela for all the excursions, lessons and food. You are a good teacher you get me have fun into this trip. It was my favorite stay with Living Learning English. Hello! My name is Ivan Bokhan. I’m 15 years old and I’m from Belarus. I staying in a nice two-story house in Cottenham , Cambridge. I will be here for two weeks, with Daniela, Deryck (her husband) and two nice children. I stay here with another student called Hugo. I’m really happy that I can stay with so nice family. The family is really polite and funny. I think that is good that I can talk with native speakers. They have a children, Emma and Andrew (7-years old and 11-years old) and they are very nice and polite kids. I’m spending a lot of time with Andrew and we become a friends. I didn’t expect that in these family they have a children and I thought that it will be worse that without them but later we started to communicate very well. This is very good that in our lessons we can decide the time of the lesson per day (we choose 5 hours per day) . In our first lesson Daniela show us the fat book called “Phrases, Saying, and Quotation” and every lesson we need to take two frappes from these book and explain it. In the beginning it was hard but later it became easier. In our lessons we work from the book as well as discussing exercises with my partner. And that was interesting and fun. Daniela reproduced texts for us and we listened to it. We had a lot of reading, speaking and working with exercises. I think that the main reason for this improvement is that I’m speaking English all the time. 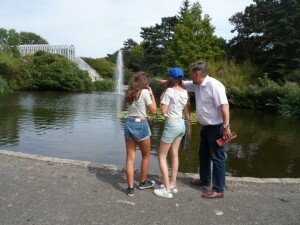 In lessons, with the children, on the excursion and with the partner. And I think that is important to think in English. I’ve been in England twice before, but this time was the best. I was really impressed when I arrived. I went upstairs and I saw my room and it was awesome because the room is very big and we have our own bathroom. I shared the room with Hugo(my partner) but there is more than enough space for both of us. Our bedroom looks very big and clean and there are two windows so the room is nicely lit up the whole day. But not only our bedroom is really comfortable. We live here in a big house, the sitting room as well as the dinning room are quite big. Sometimes we have dinner in the big, nice and comfortable garden.I was extremely glad when I saw our house. I’ve been in England twice before, but this time i had the best meals. We have three meals a day. In the morning we always have cereals with milk and orange juice. After lessons we usually have a lunch. Sometimes it is something lite like omelet or sandwiches. Near seven o’clock we have a dinner. Daniela always cooking something nice and tasty for example pizza, pasta, risotto, fish or chicken. And sometimes we can try very tasty desert like chocolate cake or “pavlova” cake. Excursions was really interesting. 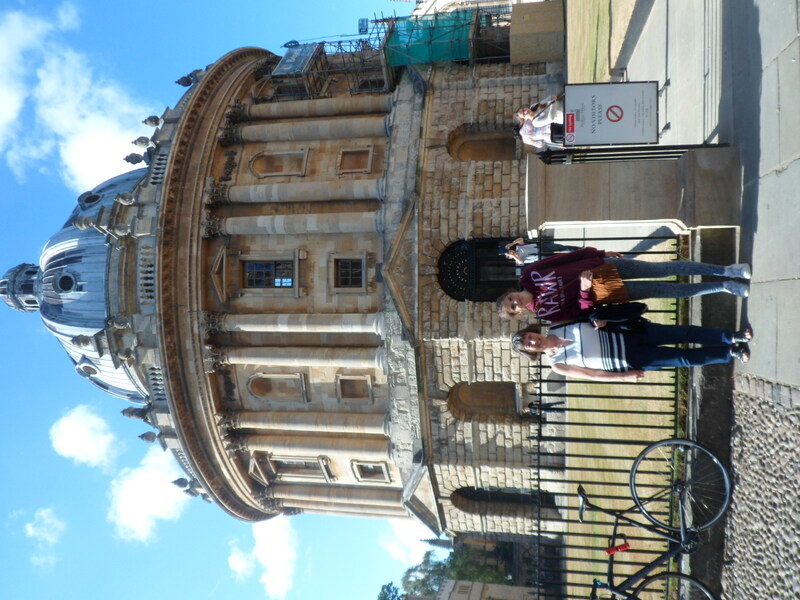 One time we were in London and the other days we stayed in Cambridge. In Cambridge we visited many different Colleges. 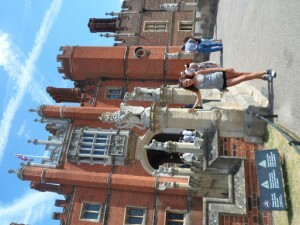 For example the St. Johns college impressed me because it looks like the Hogwarts from Harry Potter. 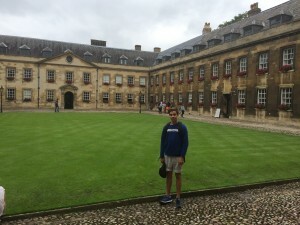 We had many activities in Cambridge, like visiting tho shopping centre, the Fitzwilliam Museum, swimming pool, aqua park, and I really enjoyed the boat ride in King’s University. When we went to London we had the possibility to decide what we want to visit. So we decided to go on the London Dungeon. After this attraction we did a short boat ride which was very beautiful. We left the boat near the Tower Bridge so we climb to the top and took some beautiful photos and went by metro to the Picadilly Circus. 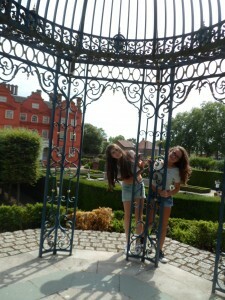 The excursion to London was absolutely lovely. In the end I want to say that the house, people, food, excursions was really great. Thank you “Living Learning English”! Hi it´s Romana here. I´m 18 years old and I´m from Austria. 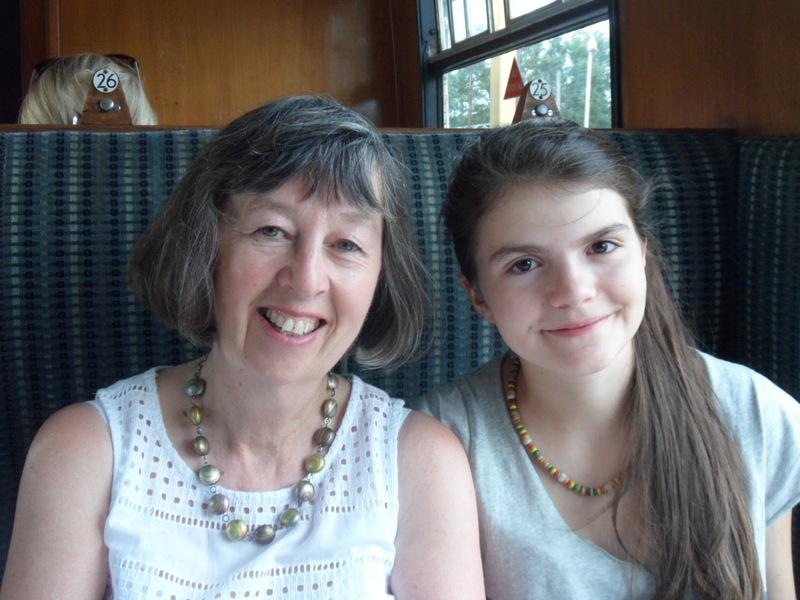 I staying in Cottenham – near Cambridge – for two weeks with Daniela and her family. I stay here with another LLE student called Estelle. We are very glad to stay with really nice family. The family is very polite and we love to stay with them. We learnt a lot of new vocabulary while we were here. The children (6-years old girl and 10-years old boy) talk a lot to us so we learnt to understand English child language. We felt very welcome here so our stay was better than expected. I was really impressed when I arrived .I went upstairs and I saw my room the first time it was a ‘wow-effect’ , because the room is very big and we have our own bathroom. I have to share the accomondation with Estelle(my collegue) but there is more than enough space for both of us. Our bedroom looks very friendly and there are three windows so the room is nicely lit up the whole day. Estelle and I have the luck that this is a house with a spacious garden, so we can stay outside whenever we want. Most of the time we have dinner in the garden. I prefer this because it is a absolutely marevllous habit. I was extremely glad when I saw our accommondation . In our first lesson Daniela told us how she will teach us and if we want something to be changed we only have to inform her. We were allowed to choose the topics we prefered. 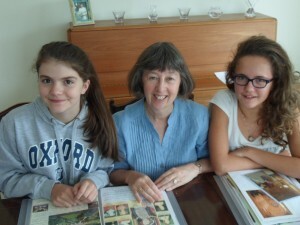 In our lessons we work from the book as well as free talk about many different topics.It is a god fun! Daniela records our spoken texts and plays it again so we can correct our own mistakes. In this way we are able to listen to our first recording ( the beginning of our stay) and we can see the progress we have made is extremely good . The main reason for this improvement is that we have no other possibility than speaking English all the time. I think I improved my English very much because of the fact that everybody around me speaks English so I began to think in English. 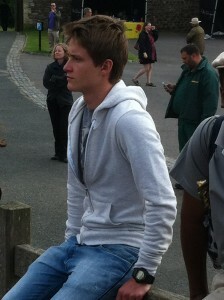 I have been to England twice before but both times were with other Austrian students. We didn´t talk to each other in English so the progress was not as good as this one. Hi it´s Estelle here. I´m 18 years old and I´m from Switzerland. 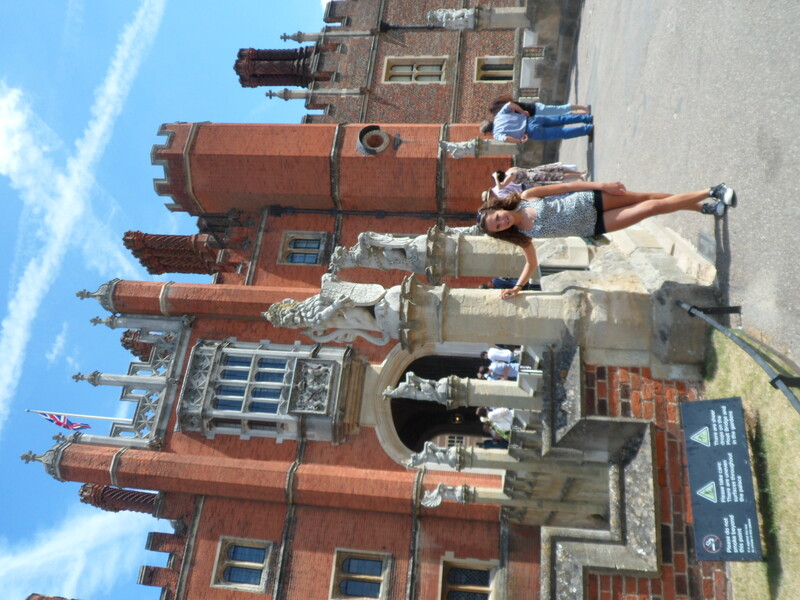 It´s been over a week now that I´m in England and I like the food at Daniela´s home very much. We have three meals a day and we eat a lot in the morning. The breakfast consists of cereals and toast with a cup of tea and some juice. After lessons we have lunch. Most of the time we eat sandwiches but we had the possibility to get a omelets or pasta for lunch. If we are hungry in the meantime we are able to take fruits. For the dinner Daniela cooks homemade healthy food. Every dinner was different to the others and it was delicious so we asked for the recipe not only once. We had meals like abergine, fish, chicken, pizza, pasta and many other delicious dishes. I´m very happy because we had almost every day an excursion. One time we were in London and the other days we stayed in Cambridge. In Cambidge we visited many different Colleges. For example the St. Johns college impressed me because it looks a bit like the Harry Potter’s college. 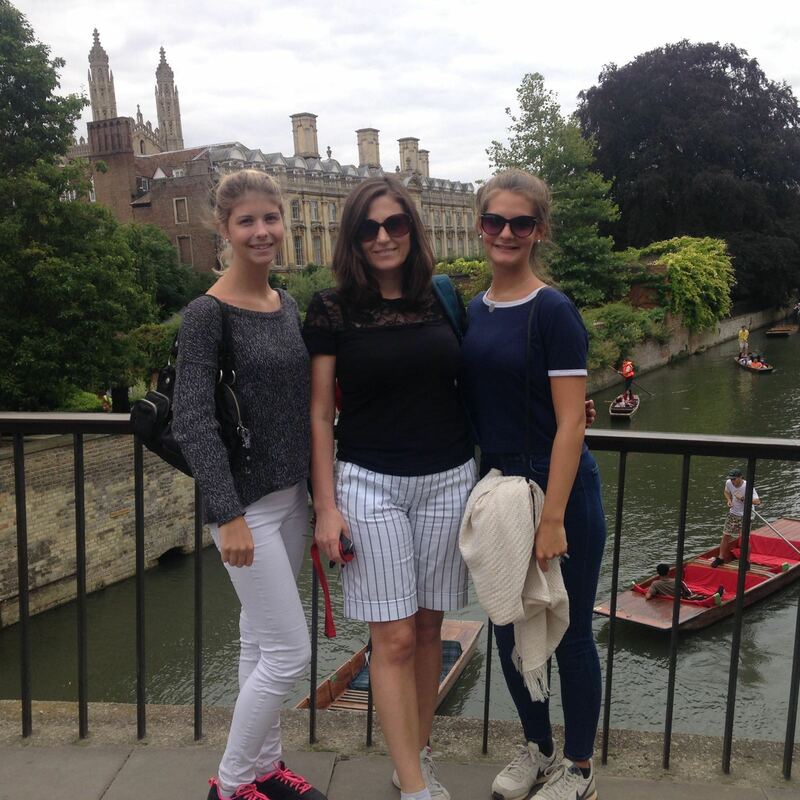 We had many activities in Cambridge, like visiting the Botanic Garden, where we listened to a concert, the Fritzwilliam Museum, a Shakepearepake’s Play , an indoor Swimming area, the Grand Acarde Shopping Centre and I really enjoyed the Panting tour on the river near the Universities of Cambridge. the city. After this attraction we did a boat tour which was very exciting. We left the boat near the Big Ben so we took some awesome photos and went by bus to the Brithish Museum. 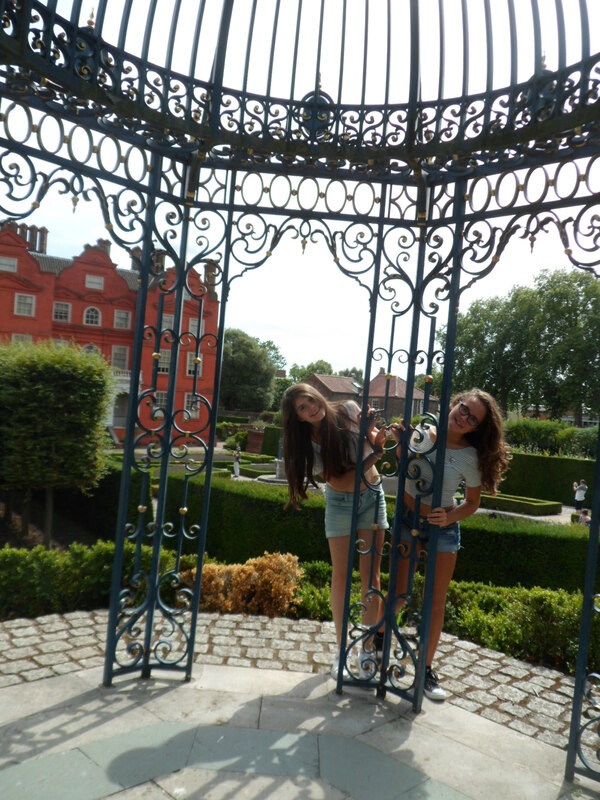 The excursion to London was absolutely lovely. Once we went ice skating an hour away from our home. It was a really good experience because we had a lot of fun with the children and I learnt how to skate without any help. We are Eva from Spain and Marie from France. We have just spent two weeks in Broadstairs in David’s and Gabi’s housse. We ‘ve done a lot of thigs like going to London,Cantebury, Sandwich, played mini golf in Broadsairs, had an afternoon tea, Leeds Castle,made cupcakes. The food that David cooked was delicious, he made a paella for Eva. We tasted a lot of typical english food (fish and chips, full English breakfast, jelly and even marmite). We learned a lot in the mornimg lessons. We practised grammar, a lot of speaking and improved our vocabulary. It was a nice stay ! Hello, my name’s Neus, I’m a thirteen-year-old spanish girl. I’ve spent three weeks in a very nice town near Oxford called Wallingford. I’ve stayed with a flawless family and a french girl called Colette. She was very nice, kind, and great fun. Last summer I came here, in the same time with the same family and I enjoyed so much, that this year I’ve come back. 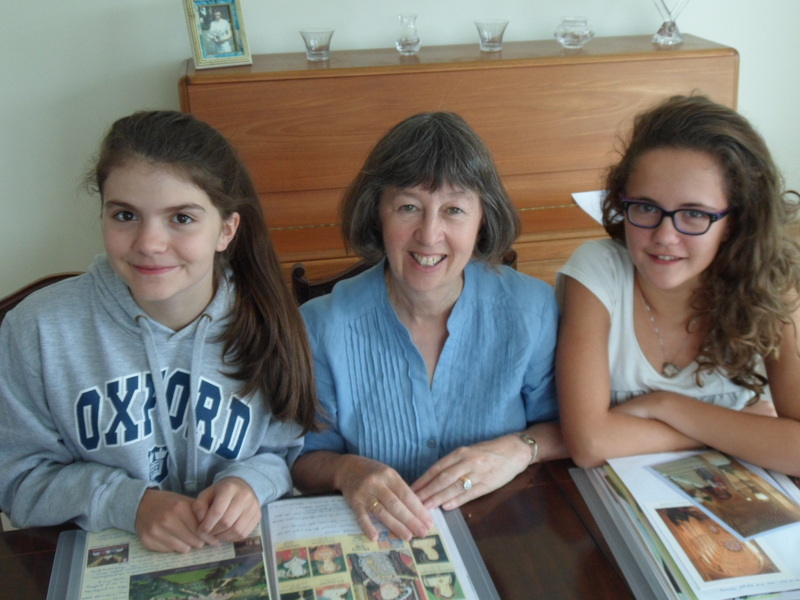 In my opinion living this experience is the best way of improving your English in the same way you have great fun with an English family. I’ve enjoyed the afternoon outings, each has been different. The way our teacher, Shân taught us make the three hours of lessons very interesting, funny and go very quickly. No question that I enjoyed Saturday outings, we went to Kew Gardens, that was lovely!! And Andrew’s food was the best English food I’ve ever eaten, and I’m not exagerating at all!! But the thing Iiked the most is the way Shân and Andrew treated us: as one of their family. My name is Bohdan. I have study holiday in Shrewsbury for two weeks with my teacher Julieanne and family. The time was very quick and I had great time. It was amazing. I play computer games for vocabulary and grammar and it is better now. I like the lessons on the computer. It is fun. Speaking and listening is in the lesson, but we cooked meals and I had snacks if I want and was not hungry. I had wifi so I could play games and skype family, but it was not in bedroom. I enjoy the family visits to Shrewsbury Town football game. We did bowling and went to Bridgnorth and Shrewsbury so I got presents for my family and fixed my phone. It was a study holiday and I go back to boarding school so I get a haircut. 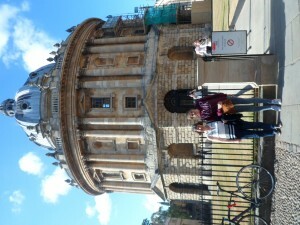 I want that I can come for study holiday another time..
Cambridge is a nice city. Daniela Thake is a good teacher and the family is cool ! The lessons aren’t annoying they are nice ! We often do excursions it’ s funny and good. The family is sympathetic and the children are cool ! The meal are delicious !! The house is very large, there is a big garden and my room is big. An Amazing Adventure in Liverpool !!! Hi everybody. My name is Lev. I am 14 years old. 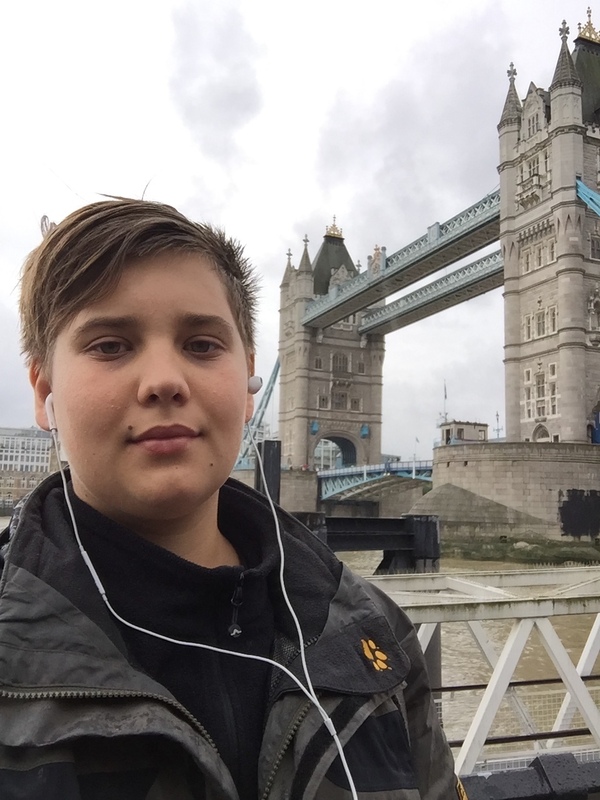 I am a Russian student who stayed in Liverpool for 4 weeks. 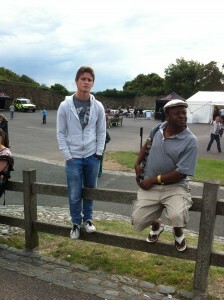 It wasn’t my first time in Great Britain but it was the best. The best thing was the family and the city. The city of Liverpool is pretty big and a really famous city. Every day we had exciting excursions. It was amazing. The only bad thing was the weather, but it didn’t bother me. Overall, I had a great time. My stay in Seasalter ! Hi, my name is Ferdinand and I’m from Zuerich. I enjoyed my stay in Seasalter. We had a lot of fun on our excursions at Dover Castle, Canterbury Cathedrale, Amusement park and went Bowling alley. I learned more then I hoped for. Hi! My name is Jules, I’m a french student and I’m 16 year old- I just spent two weeks in Whitstable with Patricia’s family. We made a lot of excursions at Dover Castle, Canterbury Cathedrale… but also at the Amusement Park and the Bowling Alley which was very funny. I learned more than I hoped, and spent good times during these two weeks.